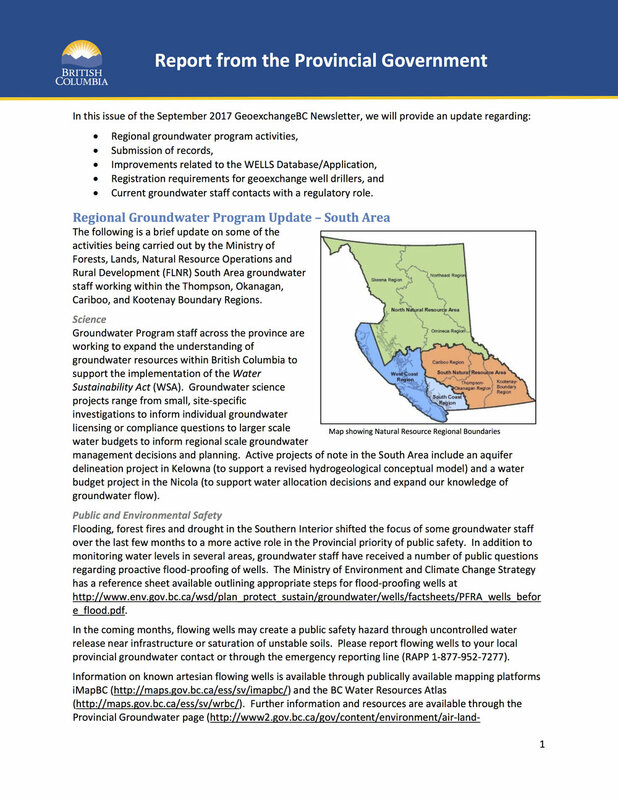 The intent of these updates is to provide GeoExchangeBC members with information related to the Water Sustainability Act (WSA) and regulations that are relevant to the geoexchange industry. This may include updates related to legislation and policy development, compliance and enforcement activities, and progress reports related to specific projects and data management from the Ministry of Environment (ENV) and Ministry of Forests, Lands and Natural Resource Operations (FLNRO). Current groundwater staff contacts with a regulatory role.